Our product range includes a wide range of shell & tube heat exchangers. We manufacture and supply an extensive range of shell & tube heat exchangers that are in accordance with TEMA / ASTHMA standards. 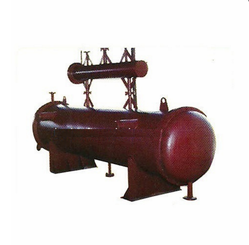 These shell & tube heat exchangers are able to handle high temperature & pressure applications that are suitable for various industrial applications. We offer these heat exchangers in various sizes and capacities thus meeting the diverse needs of our clients at industry leading prices. Looking for Tube Heat Exchangers ?